We bloggers keep on writing the good post which should be attractive, impressive and meaningful. But always the content doesn’t simply work. Most of the times you would be hearing to write the impressive content which should convince your reader to buy the product you recommend. In such cases, a landing page works much better than a WordPress page. As you can see with a landing page, it is much easy to convert your visitor into a subscriber. If you want your reader to take action like signing up for an offer you are promoting or buying a product you recommend, then you need a perfectly optimized landing page. I am not saying, a standard page can’t convert, but the conversion rate with the landing page is far more. But don’t worry! You won’t have to get into the technical and coding glitches while creating a landing page. In this article, I will show you some best WordPress landing page plugin which will make your journey to create landing page easier and without writing a single line of code. These top WordPress landing page plugin not only help you to design great looking landing page but also provides many features for best conversion and maintenance. So let’s get started with some of the best landing page WordPress plugins. Here are the five best WordPress landing page plugin for your use. You can use these plugins to design landing pages for your newsletter subscription, sales page, summary page, etc. Leadpages is currently one of the best landing page creators. They have fully functional drag and drop landing page creator which you can host either on your server or even you can host at Leadpages server. They too have WordPress landing page plugin which you can install at your WordPress dashboard and can add as many landing pages as you want. It is an easy, stylish, appealing and converting landing page. One of the best things I liked about Leadpages is, you can even publish your landing page on social platform like Facebook. It is easy to use, and if you have used any template builder with WordPress, then you can also use Leadpages easily. All you have to do is, just drag and drop the fields and designs as per your need and create an excellent landing page without any coding skill. Leadpages is also cost effective, and many top bloggers and internet marketers use Leadpages for their campaigns and blogs. For a single user, the license just cost $25 per month, and you will be billed on a yearly basis. You can create as many landing pages as you want with this option. With a higher plan, you can also get the feature of A/B testing which is indeed required for the sales campaigns. So if you are looking for a perfect solution for the landing pages, Leadpages is your destination. OptimizePress is another demanding and useful WordPress landing page plugin to create stunning landing pages. Unlike Leadpages which was platform independent tool, OptimizePress is exclusively built for the WordPress platform. Again you don’t need any coding knowledge to work with the OptimizePress, and you can just drag and drop from your WordPress dashboard. OptimizePress also provides 30+ landing page templates which you can use and edit as per your need. By this way, you won’t have to start from scratch. Although it is far less than Leadpages’ templates but still sufficient to initiate the journey. OptimizePress is very cost efficient and just charge $97 as a one-time fee, and you won’t have to spend anything else to use. The license can be used on three websites. If you have some subscription based business, OptimizePress can work best for you! So if you don’t want to pay a monthly fee for creating the landing page, OptimizePress can work best for you. It is easy, effective and can create some cool landing pages. Thrive landing page is new but getting huge popularity in the blogosphere and online space. 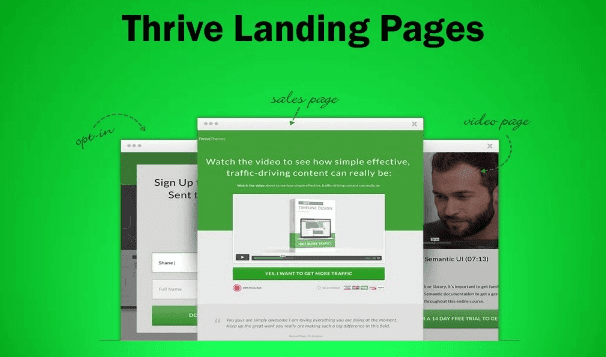 Thrive landing pages is a WordPress specific landing page plugin, and you can create some stylish and optimized designs from your WordPress dashboard. Thrive also have Thrive builder using which you can design your standard pages super awesome. I am using it for one of my blogging niche sites, and the result is just super, and your website will also look better. Thrive landing pages provides around 150+ landing page template, and you can simply select the one and start editing it as per your demand. It is more economical than OptimizePress and just cost $67 as a one-time fee. So far I found Thrive as most economical WordPress plugin with these many features and design. Landing page creator is a major part of the ClickFunnels tool and comes up with a WordPress landing page plugin to manage all of your need. Their video tutorials will help you a lot to set up the landing pages and other features easily, and in the case of any further issues, you may contact their support team. 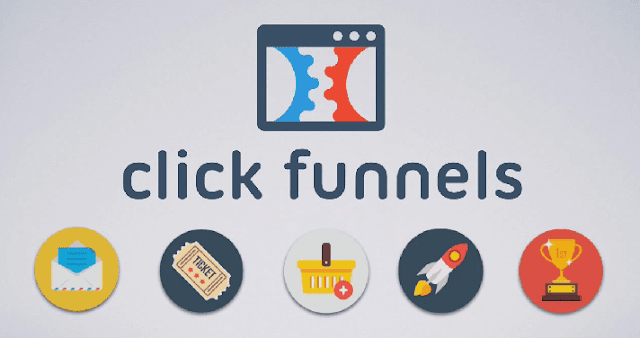 The only drawback I found with ClickFunnels is the price. It is a bit costly compared to other Wordpress landing page plugin and comes at $97 per month. But as many other features are also incorporated into the tool, so this price can be justified for those who uses all the features. ClickFunnels also provides 14 days of free trial, and anytime you can switch to the premium plan. Once a blogger thinks of starting with the landing pages, the Ultimate landing page is among the first few they try. It is a fermium WordPress landing page plugin specifically available for the WordPress platform. You can start with the Ultimate landing page free and is a great landing page WP plugin for beginner to start with. Once you want to switch to the advanced version, just pay $27, and you will get access to all the advanced features. It also provides some basic but good landing page templates which you can use and edit as per your need. Although it has not many features as other landing page WordPress plugin still an ideal choice to start with. Which is the best WordPress landing page plugin? The above listed top 5 WordPress landing page plugin will be very helpful if you are considering your blog as your business. It helps you to optimize your newsletter, subscription, sales pages and any other money making pages for better leads and conversion. If you are just looking for the landing page that can be used with WordPress, then Thrive landing page can be the best option. But if you are an internet marketer who creates the landing page for your sales funnels as well, then I would suggest you go with Leadpages. Hope this list of best WordPress landing page plugin will help you to create a sales funnel. I would love to know which landing page creator you are using.